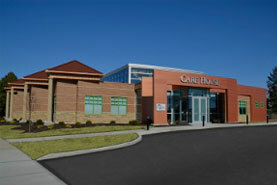 CARE House is Montgomery County’s advocacy center for child victims of abuse and neglect. Its mission is to provide a multidisciplinary team response to child abuse for the purpose of protecting and supporting children and their non-offending family members, holding offenders accountable, and educating the community. These collaborative partners work together to ensure children are kept from further harm, provide an immediate comprehensive response to child abuse victims, and educate the community to better recognize, respond to, and prevent child abuse. Necessary medical, emotional, legal, investigative and victim advocacy services exist in one child-friendly location, ensuring that children are not further victimized by the systems intended to protect them. In addition to the meeting the needs of children who walk through the door, CARE House provides community education to prevent child and sexual abuse in our community.